Volunteer References Provided With Each Quote! We pressure wash houses before we paint them, but most people ignore their concrete. 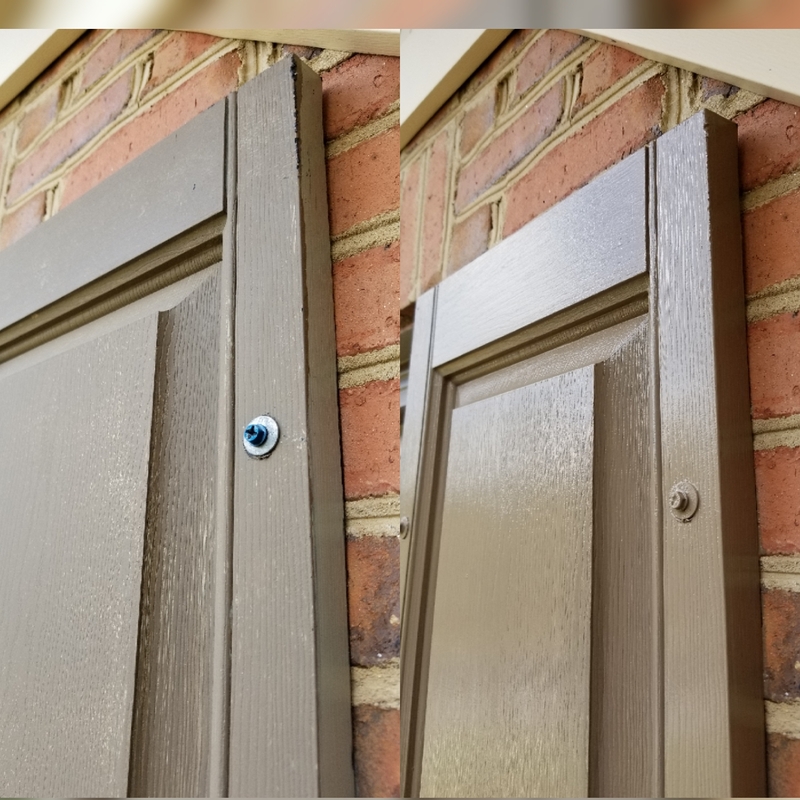 It’s one of the quickest ways to make your house stand out in your neighborhood. There wasn’t quite as much room as I thought to fully spell out my company name, but at least this is less boring than a plain before and after. We offer driveway pressure washing services, concrete pressure washing, and of course exterior pressure washing. 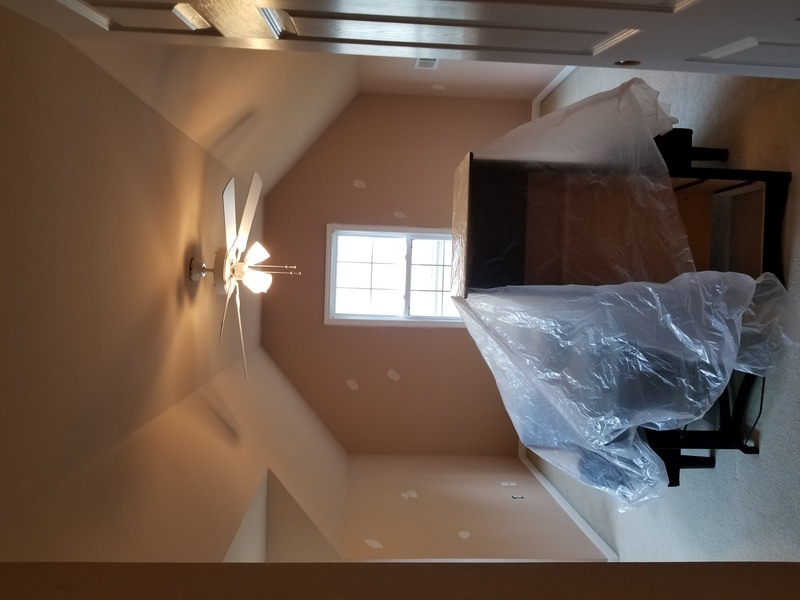 In the case of a paint job, it’s necessary not only to clean off things like mildew, algae, dirt, and spiderwebs, but also to blow off any paint that may no longer be adhered well to the surface, thus exposing weak areas that need to be scraped and primed so that I can ensure longevity of your new paint. This concrete has officially been Doctored(™), lol. 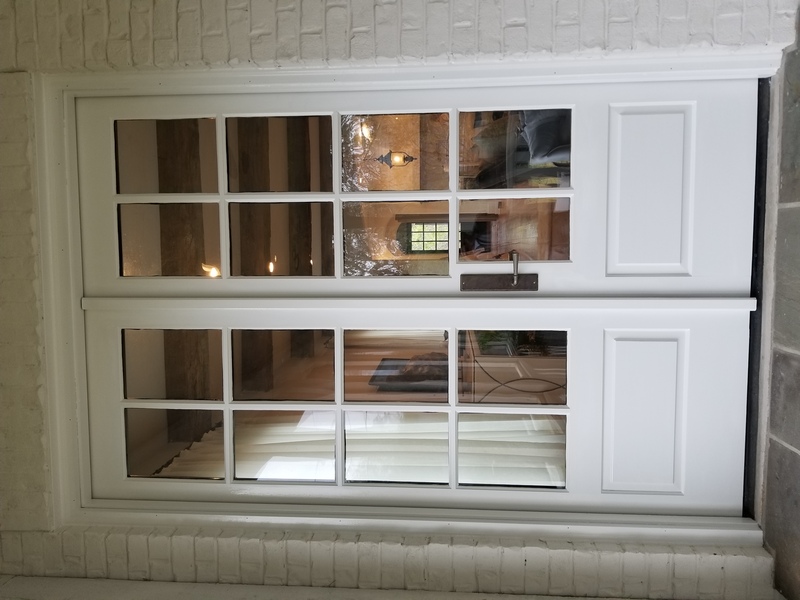 This was a simple, quick refresh of the front only of a house going on the market; a great, cost-effective way to make your house pop for that new buyer. It’s not too obvious from the before photo (bottom) but all of the paint was oxidized and heavily UV damaged. Look closely at the garage doors before and after to see some of what I mean. All of the original gloss was gone and you could slide a finger across it and leave a mark. A good way to tell when your paint’s life is up is when the gloss is gone. 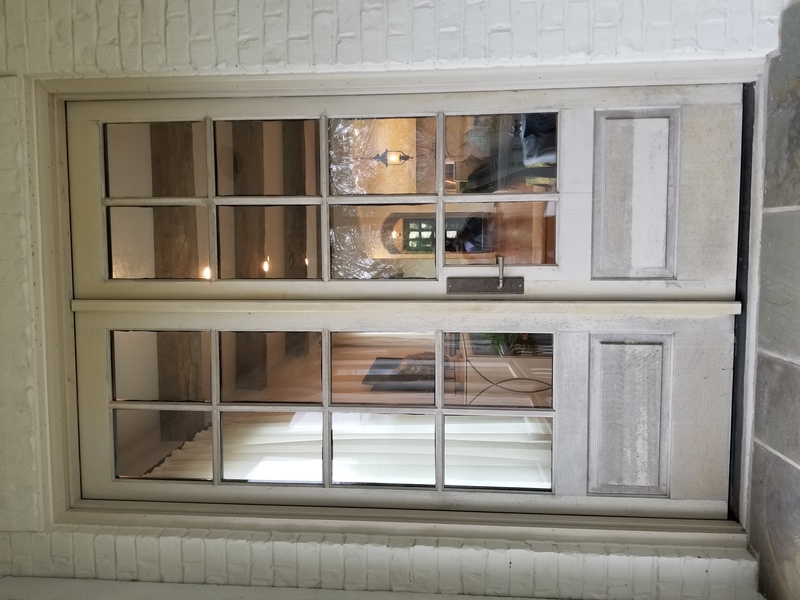 If you pay attention to these things and paint in time, your house will never peel, need scraping, and will retain its utmost value and appeal. Selling your home and want it to go fast? 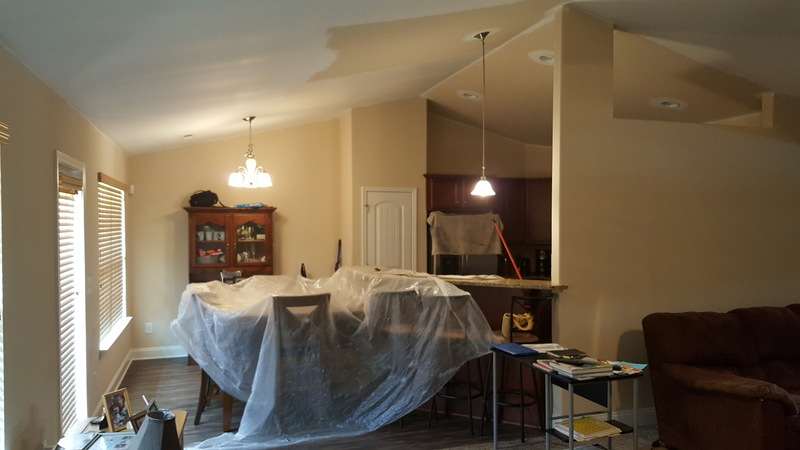 Schedule an estimate with me, and I may be able to advise on what does and doesn’t need painting, inside and out. We are meticulous. We care. Really. To call attention to something like this may seem like overkill. No one cares about what the paint looks like directly under the countertop where no one ever looks. At least, that’s what the last painter thought. Either that, or they were physically unable to make the cut (pun intended, since using a paint brush to paint right up close to objects where the roller couldn’t reach without making a mess is called cutting in). To me, it is part of the wall and must be painted. It’s the little details that add up to a complete whole. There’s a reason why I keep busy during the winter and yet have other painters calling me nonstop looking for work. It’s because I do everything in my power to make my customers happy. And we only require payment upon completion, not up front. I don’t get my money until YOU are happy and I run my business that way on purpose. So… which painter are you going to use to take care of your house? This was preparing some brick for paint a few days ago on a townhouse in Hoover, AL. I think most people don’t realize how filthy and blackened and weathered their house is – brick, siding, and even driveway concrete. 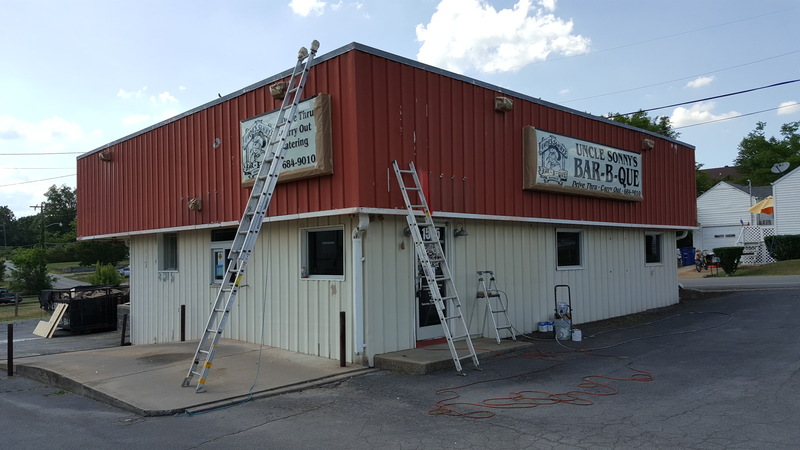 Pressure washing, or power washing as some may refer to it, is an absolutely necessary first step to a long lasting paint job. Generally takes between 4-8 hours per house. 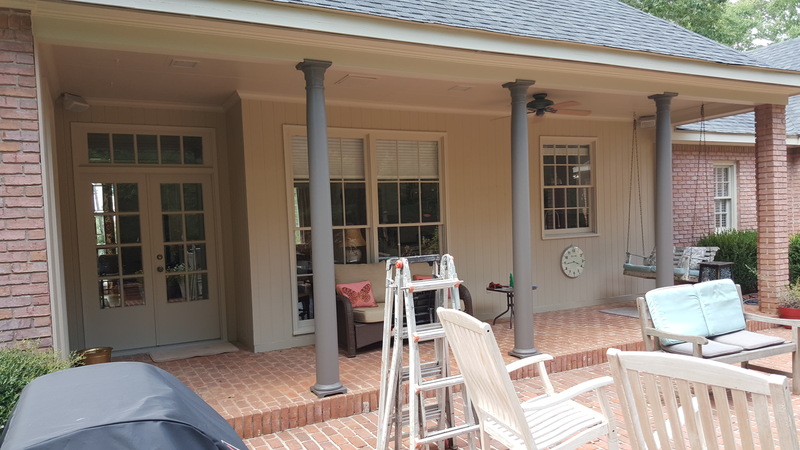 A paint-prep pressure wash is very different from a pressure wash you would get from a pressure wash-only service – we are not just cleaning the house, we are prepping for paint, so we get a lot closer to the surface to try and remove anything loose – loose paint, loose dirt – so that the paint adheres directly to what matters. Painting is easy – it’s the preparation that’s most important. And yes, we can paint if it’s over 35 degrees – no need to wait till summer! We’d much rather do your exterior work in winter/spring. Please call us to have your property taken care of properly. (205) 422-0710. Call anytime. Is your brick this dirty? A new year is dawning. A new chance to fulfill potential. I will firmly approach this new year with determination, motivation, perseverance, and more desire for unmitigated perfection than ever before. 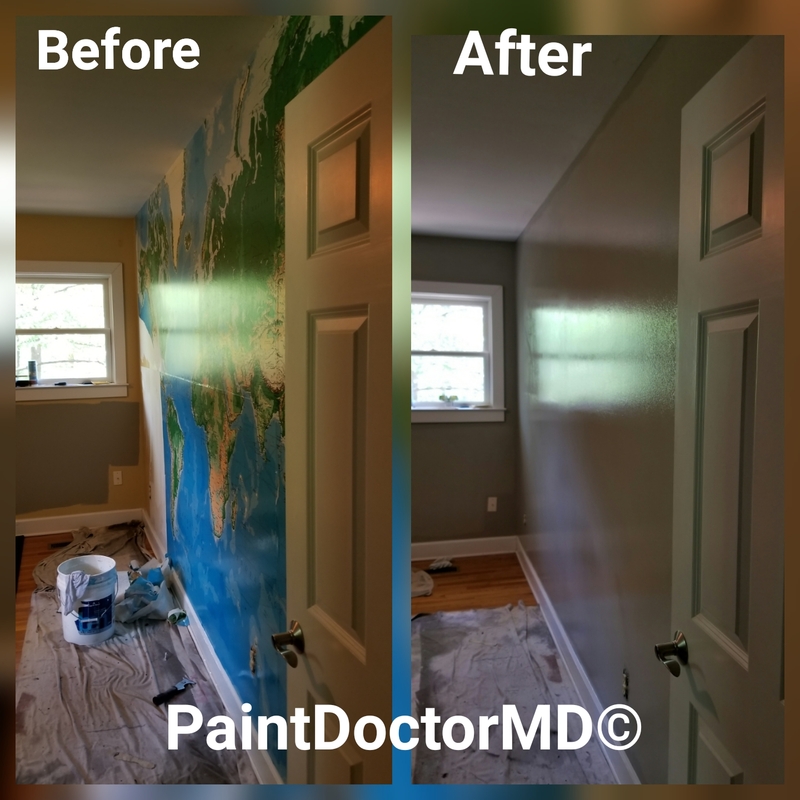 To that end, here’s a child’s playroom in Homewood that I just completed on December 28th, 2018. Yes, we can do stripes! And we can do them to your heart’s content. Let’s make your home all it can be. Have you unlocked its full potential? Is it time for some bold new colors for a bold new year? Here’s to a happy and very successful 2019 for us all! Please click to see this in its full glory! 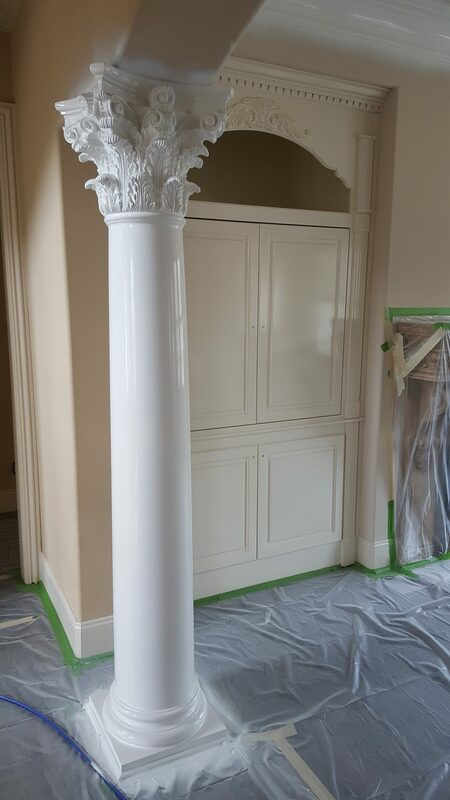 Does this column look familiar? If you’ll scroll back up to the top of the page, you’ll see that this is one of the same columns in my main background image. 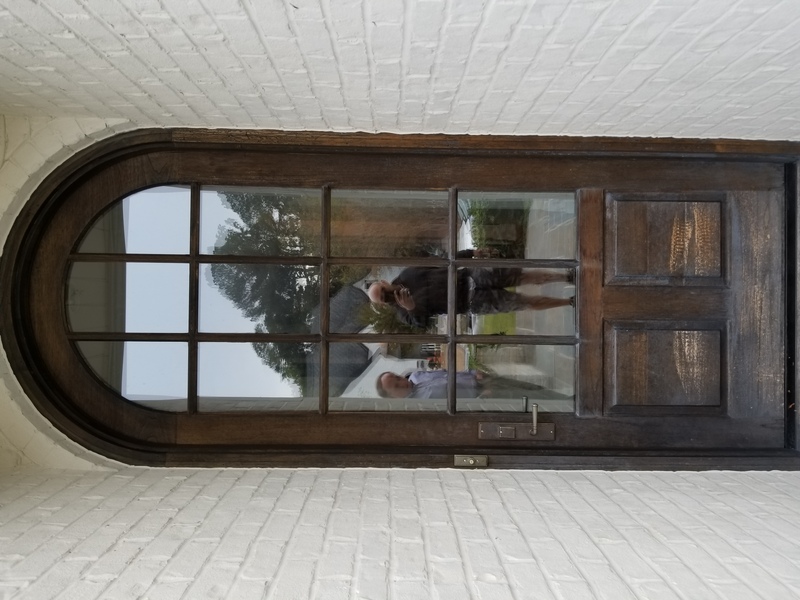 It’s from a house in Hoover, right here in Birmingham, and it belongs to one of my best customers. Their entire home is a work of art and I was privileged to be able to work on it. I enjoy projects that demand a heightened attention to detail. All of the pictures on this website were taken by me and are my work. Freshly sprayed Benjamin Moore trim paint in this image, with precision green delicate surface Frogtape connecting the plastic all the way up to the quarter round for 100% hardwood floor protection. Our hands are the right hands. Flawlessly applied fresh wet buttery maddeningly glossy paint – don’t you just want to feel how slick it is? 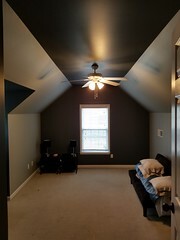 We are most definitely among the best painters in Birmingham. I could make another post with some picture of my work again today…. or I could let my customers do the talking for me. Below is a screenshot of our latest Google Maps reviews, where actual customers had their say about us. I’ve been told I should put a Testimonials section on this website, but anyone can write anything they want to on their own website. These are real actual reviews from Google Maps that you can find yourself right now by googling my business. 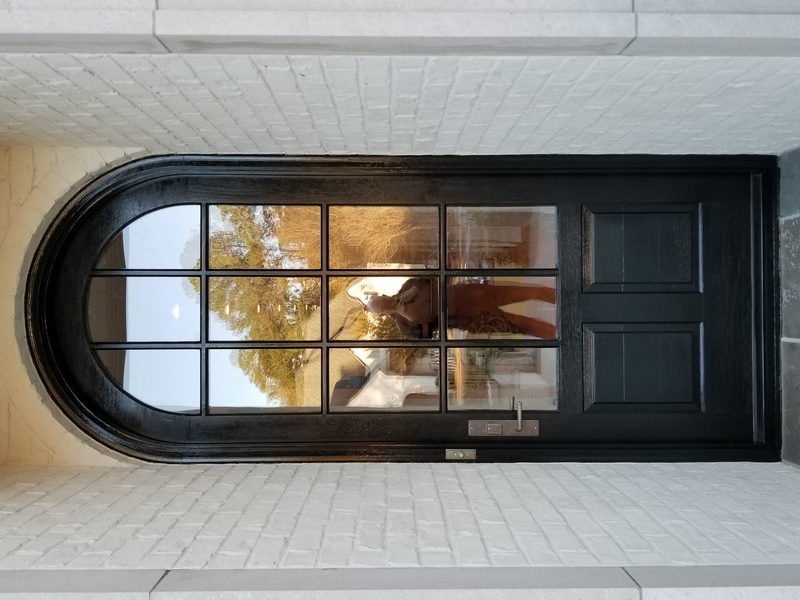 Most people don’t know you can still have exterior paint work done even in cold weather – all the way down to 35 F, actually, for most latex paints, or around 60 F for oil-based varnishes. I had to work around the weather somewhat, but Rome wasn’t built in a day. 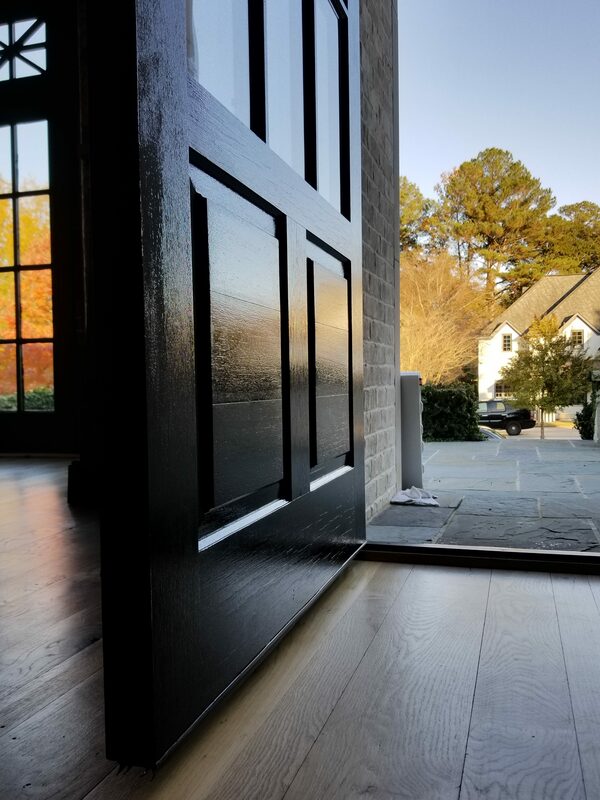 Master works take time – case in point, this freshly stained and varnished door in Crestline. On the left – well, life happens, sometimes things get neglected. On the right – meticulously detailed gorgeousness. 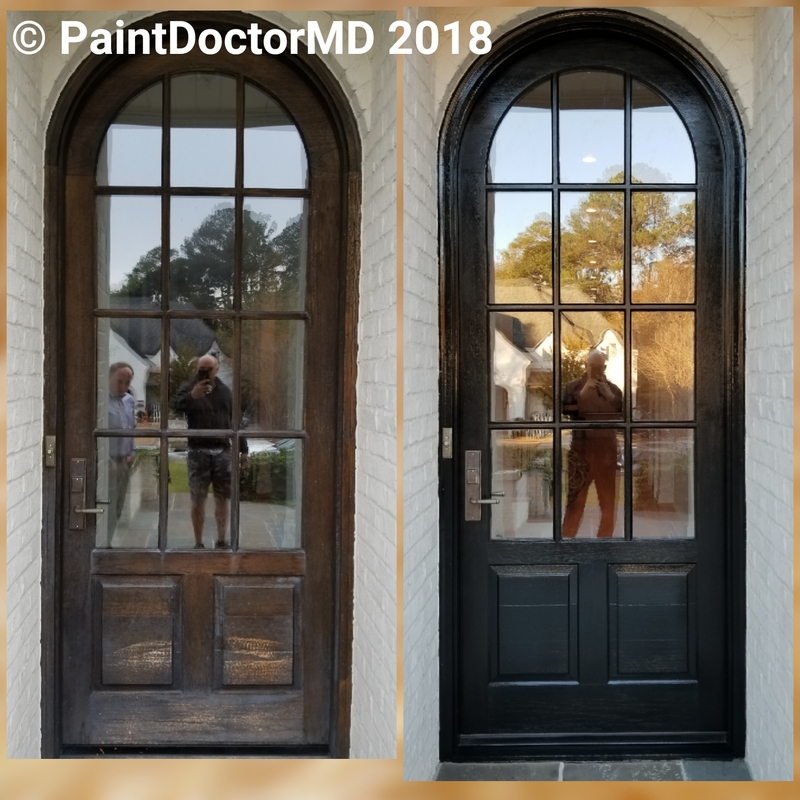 A good sanding, a bit of ebony stain and 3 coats of Old Masters’ spar marine varnish and this front door is good for years to come. We only use the best. We recommend a fresh coat of varnish every 2-3 years to maintain UV protection. Painters in Birmingham. Loving care. Attention to detail. 13 years of experience. 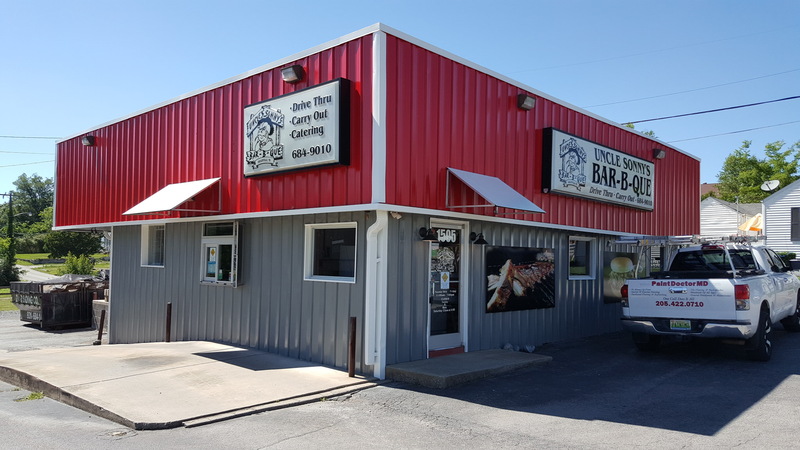 Small owner-operated company. 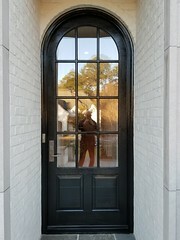 Please contact me to have your front entrance look amazing! The Paint Doctor strikes again! Shutter on left in bad need of TLC. Shutter on right almost purring in delight. 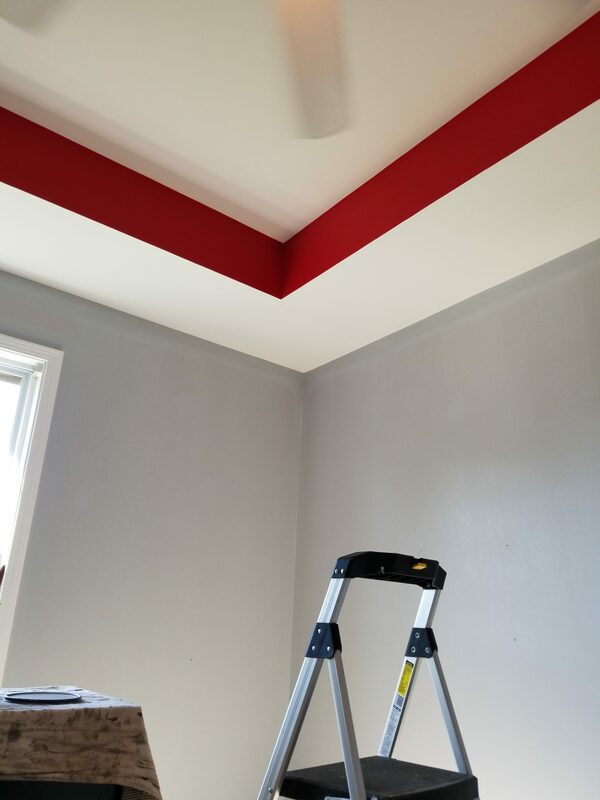 Interior painting with tray ceiling in Homewood, AL… the homeowner wanted a splash of red in this room. Reds can be quite difficult to achieve coverage. 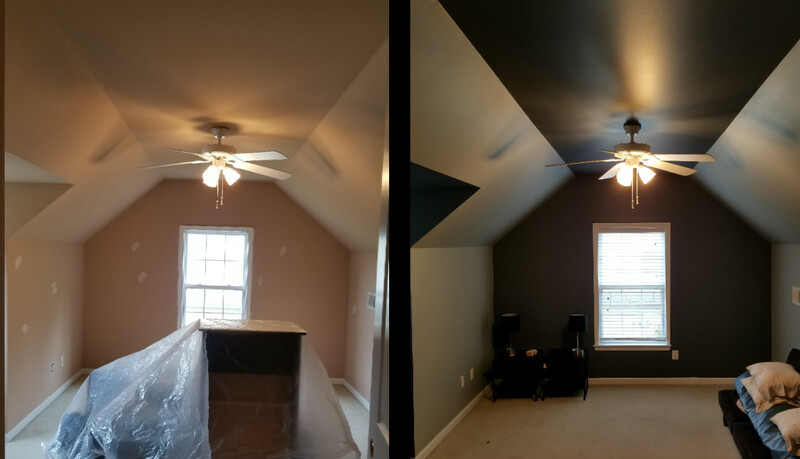 You can count on my nearly 14 years of experience to know which paints cover the best, translating directly into savings for you. 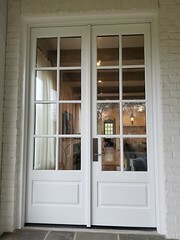 The line where your wall color meets the trim color, such as on crown molding or door frames or baseboards, is called the cut-in line, or just ‘cut’ for short. Take a good look at the cuts in your own home. Are they as straight as mine in this picture? It’s OK, it can be fixed. Just contact me. 🙂 Note: Walls were still in progress with 1 coat remaining in this picture; I just happened to look up and notice how awesome the red looked and couldn’t resist sharing this picture! Have you seen straighter lines? 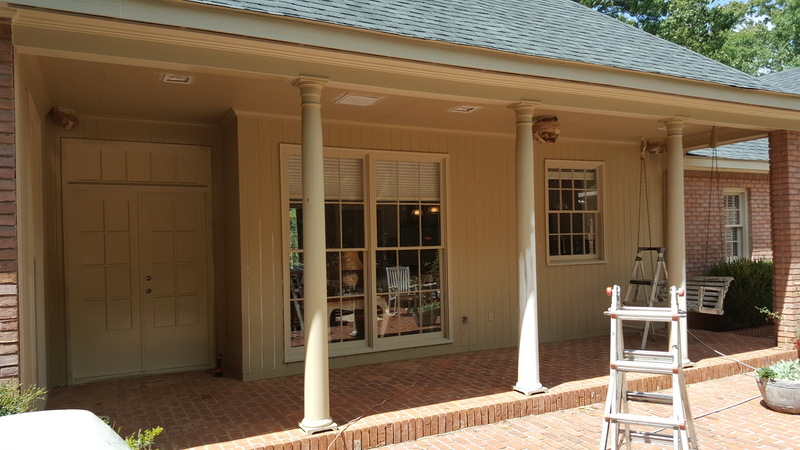 The owner of this beautiful house in Homewood, AL decided to go with a light gray primary wall color as part of her interior paint job. 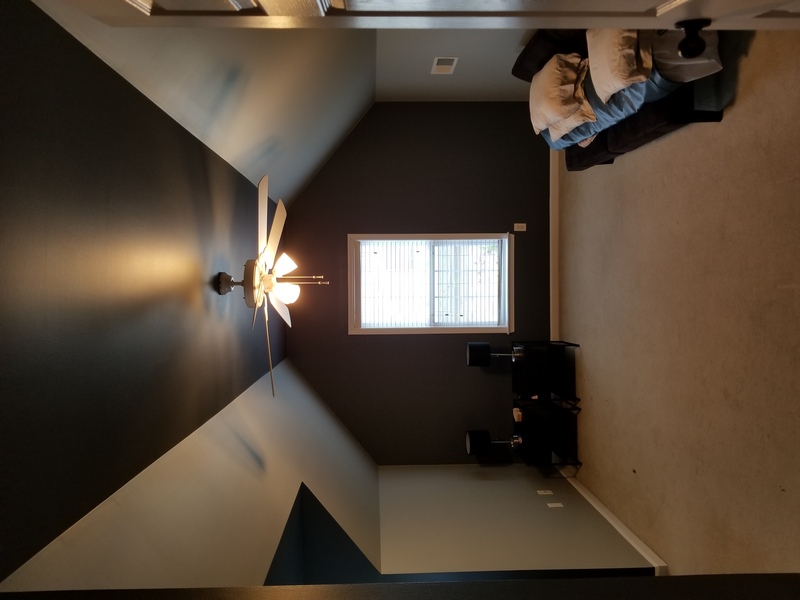 Initially the plan was to do a dark gray accent wall in the windowed alcove on the left side of this picture, but after seeing how good the accent color looked she decided to use it even more. It ended up being on the far end wall, ceiling, and even behind the camera to the entry door wall. What we ended up with was a very striking color combination that ended up looking totally amazing. 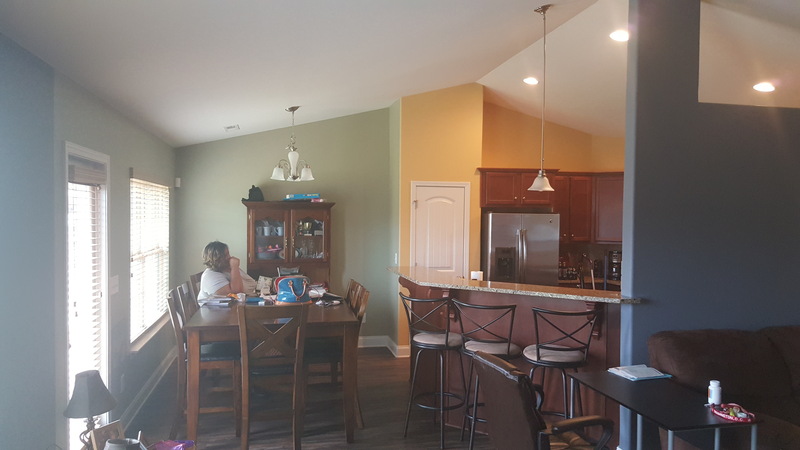 Major kudos to this homeowner for being brave, creative and original with her color selections, and for giving me the chance to show off my brush skills. Look at those cut lines! Light Gray color: Gris SW7654 Dark Gray Accent: Gibraltar SW6257. 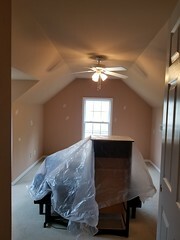 We repaired all sheetrock defects and nail/screw holes, removed all switch and outlet covers and cleaned the old paint colors off of them that the previous “painter” (we use that term very loosely) had slopped all over them. We replaced those covers when the new paint had dried. If you’d like the job done properly by non-smokers who will respect your home, please call PaintDoctorMD. Painters Birmingham. It’s ok to do a double take, I did too when I first realized how awesome it looked. This deck wood had been quite badly weathered. 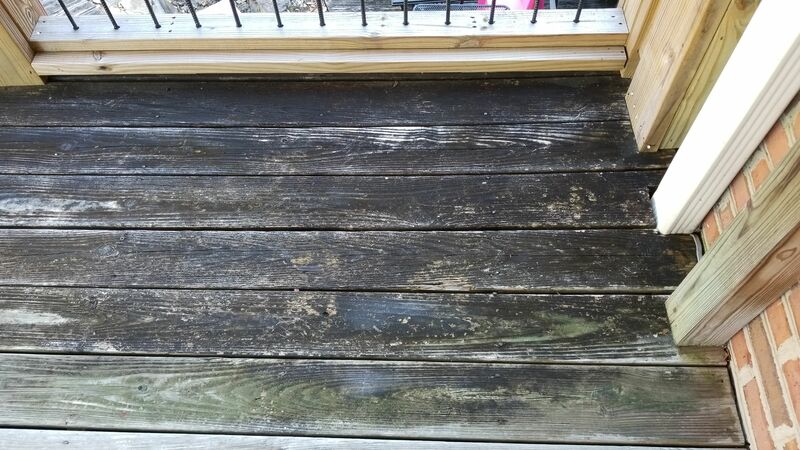 Check out the before pic closely; if you’ve been considering replacing your old, black, heavily weathered deck, please consider calling PaintDoctorMD and let us see if it can be restored. 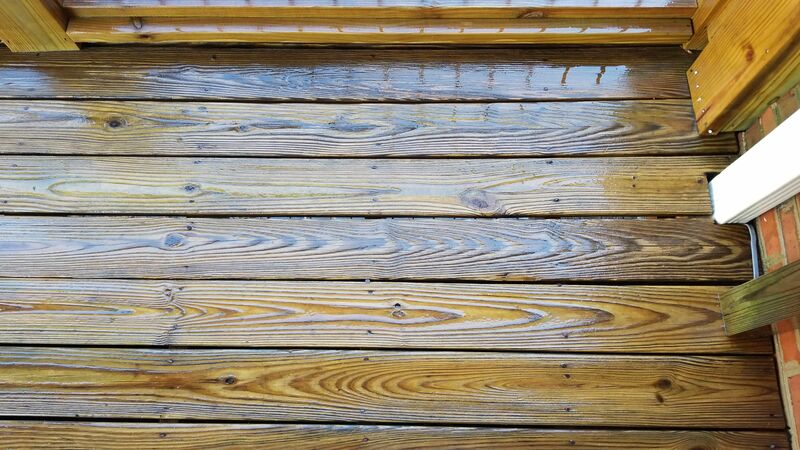 Our deck cleaning and staining services are most likely far cheaper than replacing the entire deck! 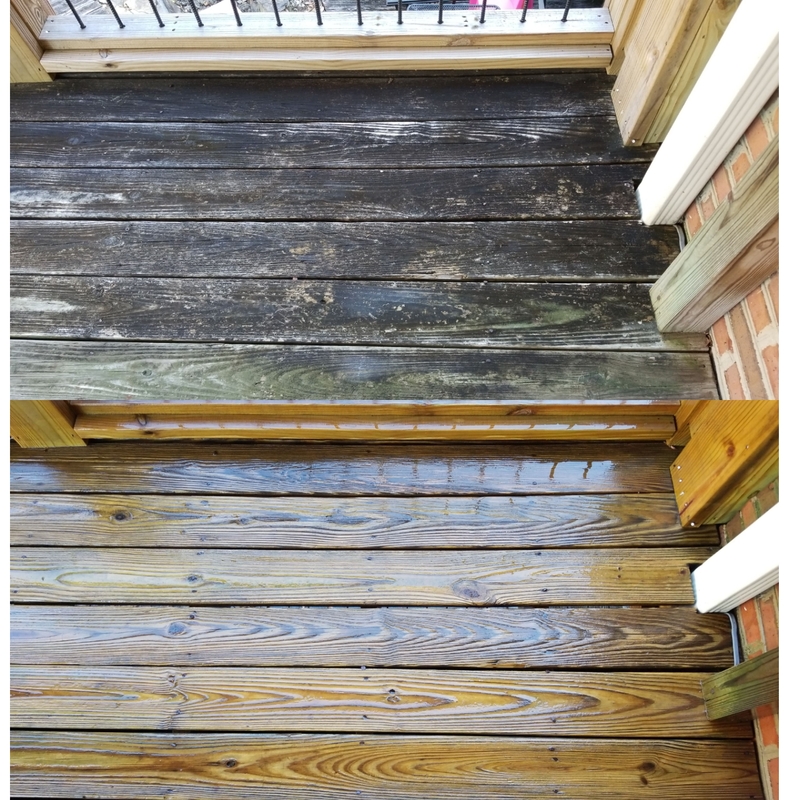 This picture of a deck in Hoover, AL just shows the immediate, massive difference a good cleaning can make, but in a future post I will show you our before and after stain on this exact same wood. 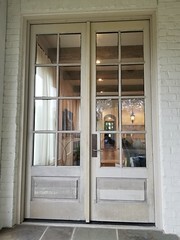 We also offer the full bevy of exterior painting services, including stained door refinishing. Feel free to browse through our showcase of before & after images to your right (below for mobile users). Painters Birmingham. 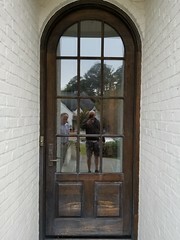 Call for your free estimate at (205) 422-0710. That’s not brand new wood? *gasp* These guys are amazing! 205-422-0710. Or request a quote here. It’s that easy. We are very, very good at stripping wallpaper!